Ducati 848 EVO Corse SE is a neatly designed attractive stunner with all the advanced technologies. Read the review to explore the features, technical specifications & price. 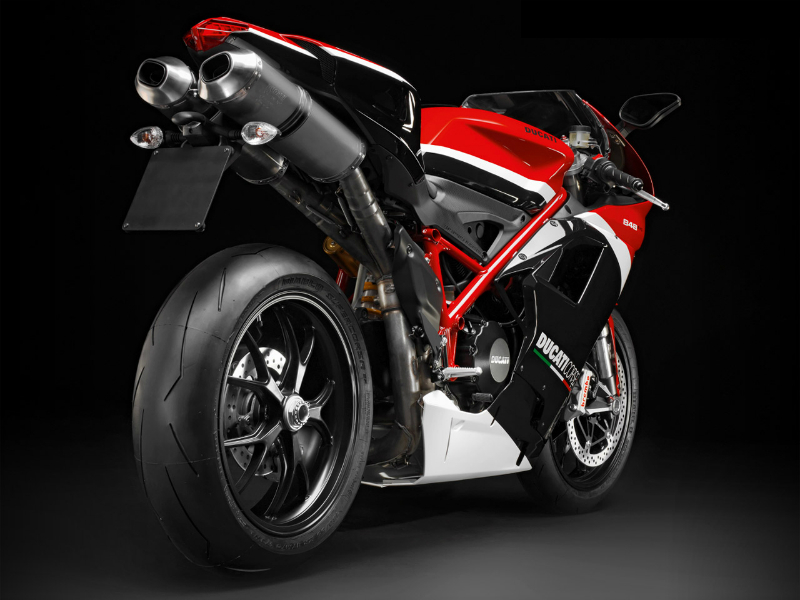 The esthetically designed Italian manufacturer's motorcycle Ducati 848 EVO Corse SE is ready to stun the people around by its gorgeous and bold looks. This exceptionally well built vehicle follows the aerodynamics very well thereby assuring a better performance and greater control. The high quality engine, assured comfort, light weight body and advanced technology used in the bike makes it stand apart. Thus with all its classy features 848 EVO Corse SE is sure to serve as one of the best bikes of the country. The new Ducati 848 EVO Corse SE is equipped with efficient liquid cooled, L Twin, Desmodromic engine which produces the power of about 103 kw at 10,500 rpm and the highest torque achieved is 98 Nm at 9,750 rpm. This power so generated reaches the wheels through 6 speed gears. The engine power of the vehicle is enhanced by new age technologies including the DTC (Ducati Traction Control) and quick shifter (DQS). 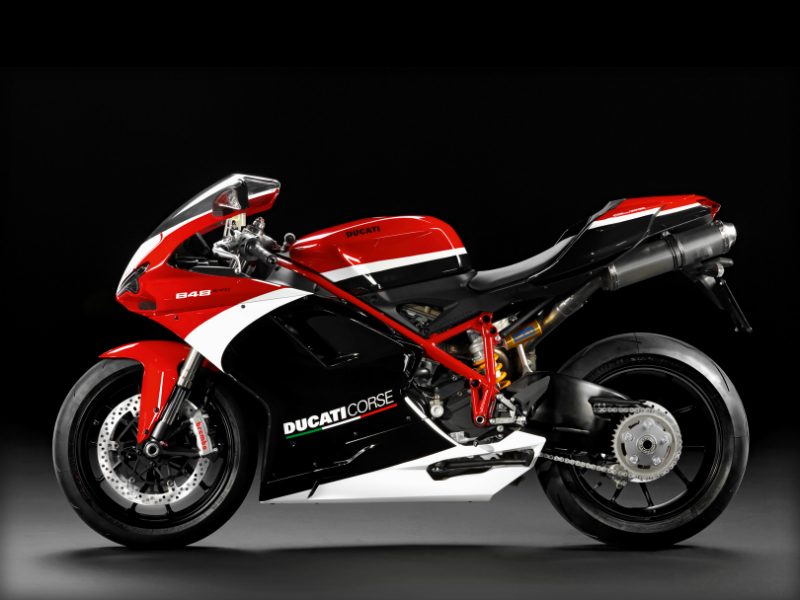 Ducati's 848 EVO Corse SE is known for its impressive lightweight body with attractive body graphics. The piercing structure of the vehicle with the fairing covering its naked parts gives a new sporty and racy appearance to the motorcycle which for sure serves as a head turner. The curvy fuel tank, striking mirrors, trendy and comfortable seat are the major attraction of the bike. With all its elegant features the bold and aggressive look of the motorbike is so prominent that it can never remain unnoticed. The aerodynamic structure of bike including the lines and curves on its body provide amazing driving experience. The efficient suspension of the vehicle is other major plus point as it assures the smooth riding quality even on bumpy roads. The suspension of this trendy bike includes the front 43 mm showa fully adjustable usd forks and rear progressive linkage with fully adjustable showa monoshock and aluminium single-sided swingarm. Further the efficient disc brakes used guarantee full control of vehicle to the rider. The Ducati 848 EVO Corse SE is a fuel efficient vehicle but the exact mileage it offers is not known. 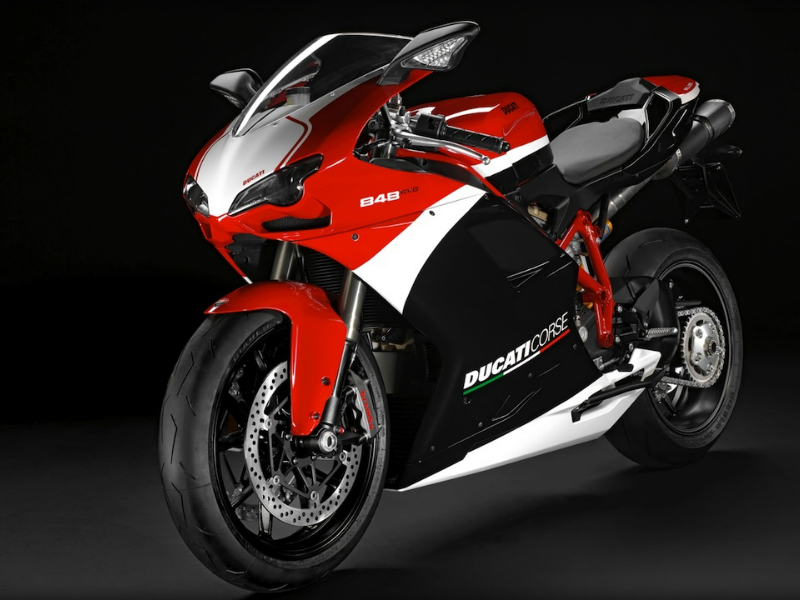 The classy bike Ducati 848 EVO Corse SE is available in only one shade i.e. corse. The ex-showroom price of this vehicle is about Rs. 15, 18,000.